There’s no point denying it any longer. We’re getting close to the end of November. Which means it’s almost the start of December. Which means it’s almost Christmas. It’s no longer unreasonable for Christmas things being everywhere in the shops, and I think it’s almost time to start playing carols around the house (okay, I’ll maybe wait until some point in December for that). I’m already planning what food to cook, and, of course, my mind is turning to Christmas presents. I know a lot of people dread Christmas shopping – not for the shopping itself, and not for the act of buying people gifts – but because the thought of heading into shopping centres or department stores packed with crowds of cranky shoppers doing the same is plenty off-putting. You know the best way to avoid all that? By avoiding those places, of course! And even better than avoiding the Christmas retail horror zone? Supporting small businesses! I chatted to a couple of small businesses I have my eye on, and have found some sweet gifts and sweet deals for you! But, even better than just saving yourself some sanity, let’s think about the other benefits of supporting small businesses. Big businesses are going to keep churning out mass-produced junk (including some very nice junk, don’t get me wrong, but junk none the less) whether you shop there or not. Your money, whether it’s five dollars or five hundred dollars, ultimately doesn’t mean a whole lot to their overall success. Your patronage to a small business, on the other hand, helps to keep it afloat. That goes for all year round, of course, but is especially important come Christmastime, when the small business owners are doing Christmas shopping for their own family and friends! Now onto three handpicked small Melbourne businesses you might want to take a peek at! I love candles. There’s something about a nice scented candle that screams “luxury” to me. I burn candles when I’m reading in the bathtub, I burn candles when I’ve been cleaning, and I burn candles just because. Matte. Candles is a brand new Melbourne business creating 100% soy wax candles with amazing scent combinations – how does mango, pineapple and vanilla sound? Like the essence of summer maybe? And lemongrass is great for kitchens because it’s not introducing a perfumey kind of scent. The Black Sparrow – scented with frankincense, myrrh and citrus – would be amusing and sweet wrapped up in gold paper for the traditionalist in your life – three wise gifts rolled into one! Matte. Candles are currently running a competition to come up with the perfect Christmas scent – what fragrance sums up Christmas to you? 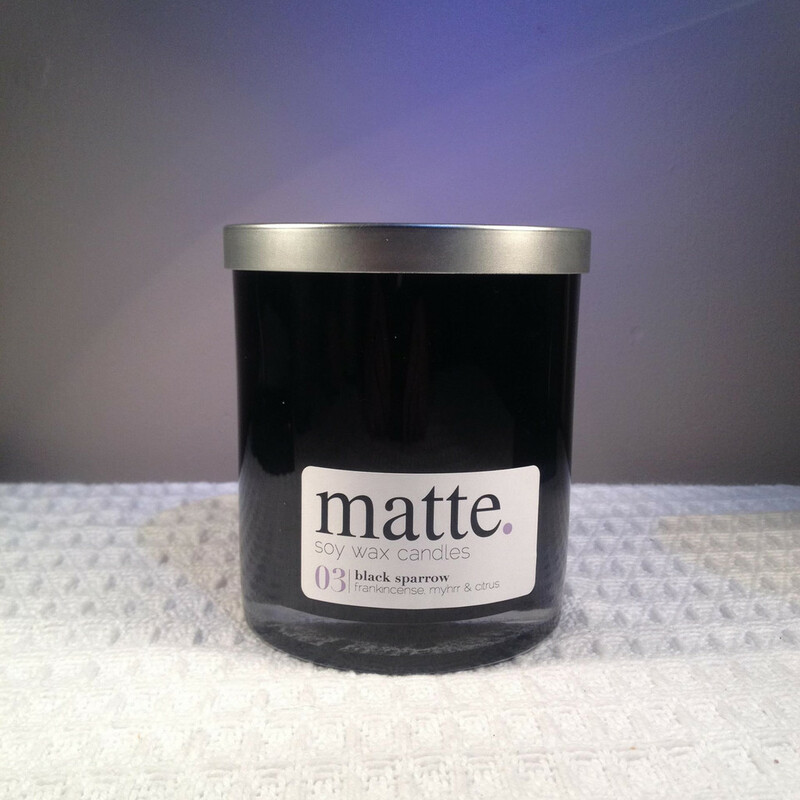 Shoot off an email to mattecandles@gmail.com with the subject line “Christmas Scent” to be in the draw to win a festive candle. You can also have your Matte. Candle sent straight to the door of the gift recipient, if it’s someone you won’t be able to see this holiday season and for purchases over $50, you get free shipping! Score! Sometimes, gift giving is hard – what do you get for the person who has it all? Sometimes, it’s easy in theory – “Aha! I’ll just get them something Batman / Harry Potter / insert favourite fandom here!” – until you realise they already have everything available in stores. In these cases, I don’t think you can go wrong with food. Especially when it’s delightfully geeky, like the delicious offerings from Geek Treats! The cupcakes are heavenly (remember when I borrowed the recipe?) and the biscuits are to die for. 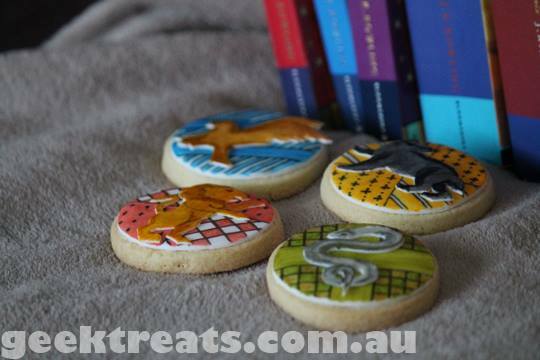 I’m not usually a big fan of biscuits, but I cannot say no to one (or five) from Geek Treats. Even better, Sarah uses quality and ethical ingredients in her cooking, and cuts and paints (with food safe pens, duh) her fondant designs by hand. 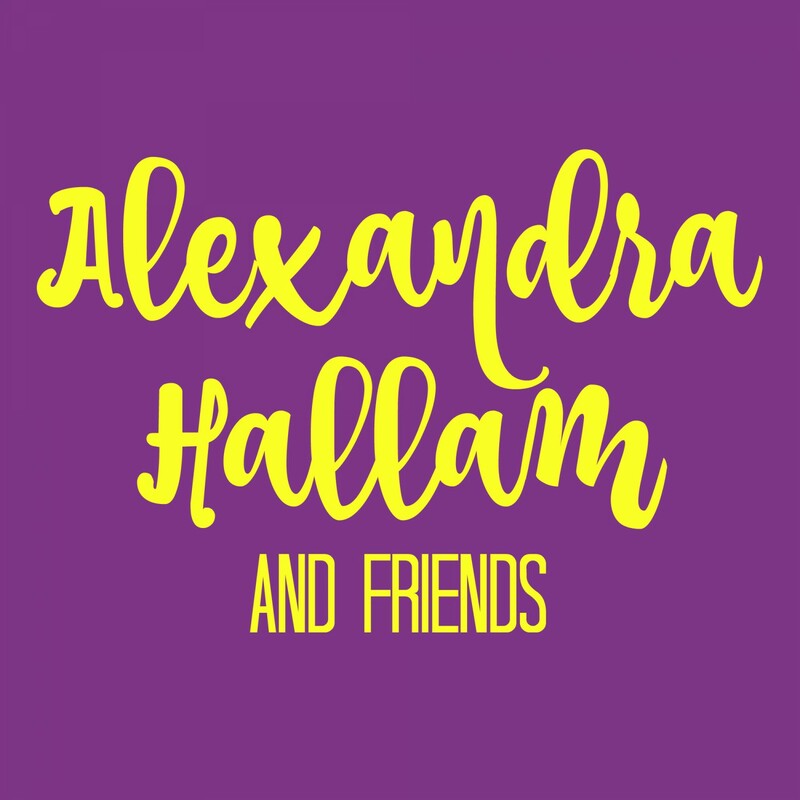 Even better still, she’s offering a generous 15% off orders for readers of Alexandra Hallam & Friends for all orders placed before April 1, 2014! Just mention this offer when organising your delicious bites! Although geeky designs are proven to taste 50% better than normal cupcake or biscuit designs*, Geek Treats can do Christmassy cupcakes or biscuits, too, to add some colour to your celebrations. The biscuits also make a cute (and edible!) alternative to Christmas tree decorations! Jewellery is a go-to-gift for a whole lot of people, and it’s really special to have something handmade and one of a kind. My favourite pick this Christmas is Hokey Pokey Designs, which I found on Instagram! 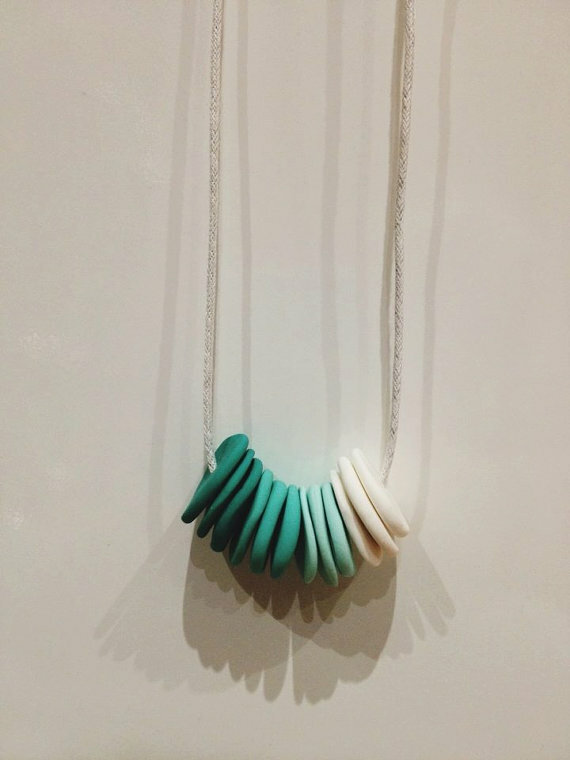 Clare makes all of the polymer clay accessories here in Melbourne, and they really look at treat. These necklaces can be worn with jeans and a t-shirt or a floaty cotton dress for a casual summertime look, but they’d also look stunning with your Sunday Best for a Christmas / New Years / Hooray, It’s Summer! party. Take a peek at the Hokey Pokey Designs etsy store to see what’s available, or check out the Instagram for inspiration for Clare to make you a custom piece! To sweeten the deal, Hokey Pokey Designs is offering free shipping to you guys for orders placed before Christmas! Again, just mention this offer when placing an order! 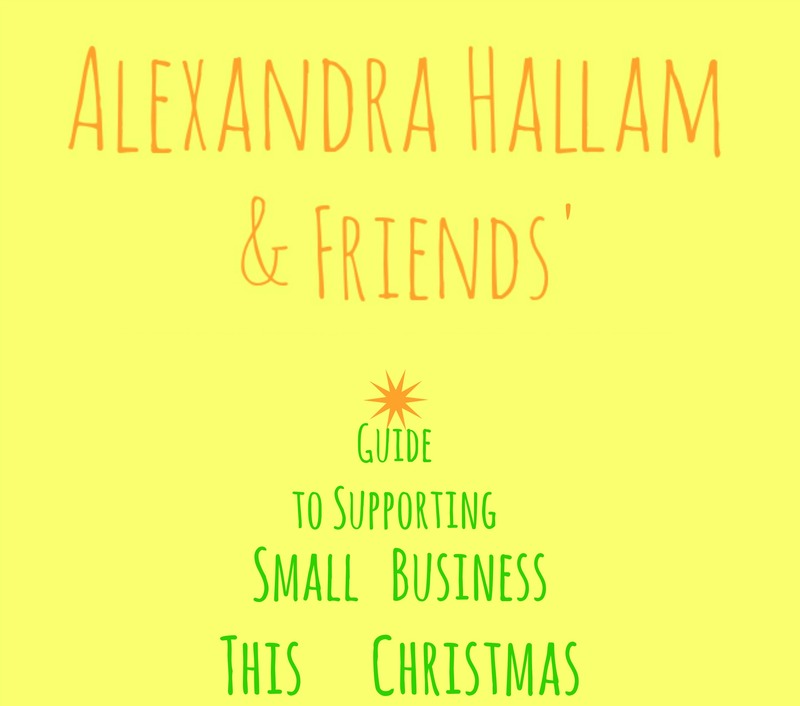 Need some more ideas for supporting small business this Christmas? Check out the independent stores in your town – the boutiques, the locally made specialties – and find something inside! Have a chat with the owner, and learn where they’ve sourced their products. Buying a product made by a small business from another small business supports two small businesses! Score! Or, why don’t you see if your favourite local cafe or restaurant does gift vouchers, and treat a friend or family member to a fancy meal? If they don’t, you can always make your own voucher!